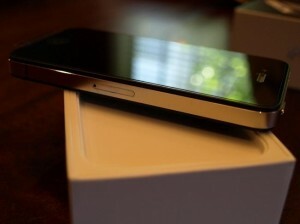 Have you ordered your iPhone 4 for $299 for a 32GB option? Well you won’t be disappointed too much because your iPhone costs about $188 to manufacture, according to iSuppli. We had previously reported on the actual cost to manufacture the iPad was only $260. However this latest report from iSuppli makes it clear that Apple aims to make profits from mass sales and from the app market. Lets take a deeper look at what goes into the $188 production bill. iSuppli did not add labor costs to this price quote. Other costs that were left behing were marketing, patents and software development. The most expensive part of the phone is the new screen also known as the Retina Display. The 3.5-inch display packs 326 pixels per inch and this leads to super crisp images. The retina display was reported to be costing around $28.50. The gyroscope that enables motion controls is a new feature for the iPhone 4 and costs around $2.60. Apple gets a huge cut from the costs from AT&T and this ensures good financial numbers for Apple. But its interesting to notice how the trend is emerging from a direct profit market to actually selling your products near-breakeven price and make profits from the costs it will incur for its operations vis-a-vis apps. Previous Ultimate Stress buster? iPhone 4 shot at, microwaved!